The Oothukkadu village is situated at 11k.m. from Kumbakonam. 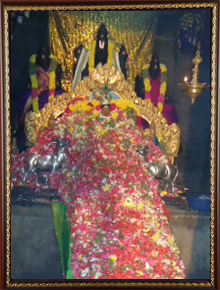 This place can be reached from Kumbakonam via Patteswaram – Govindakudy – Avoor. This beautiful village is located in between Thirukarukavoor and Avoor. From Thanjavur, one can reach Avoor via Thittai - Melattur – Thirukarukavoor. The direction to Oothukkadu from the main road is given on the Route board.